In January I got the shock of my life! I’d book tickets from Brussels to New York on Air Canada, stopping over in Montreal on the way. Three weeks before I was set to fly, I realised I needed a Canadian transit visa to pass through Pierre Elliott Trudeau International Airport. Without it, I wouldn’t be allowed to board my flights. Jip. South Africans, take note! My final destination wasn’t Canada, I was only passing through the airport, I didn’t leave the airport at any time, and yet, I needed a transit visa. To make matters worse, the Canadian Embassy in the Netherlands do not issue tourist/transit visas. These are only issued by the Canadian Embassy in Vienna. What could have been a total travel disaster, worked out in the end. 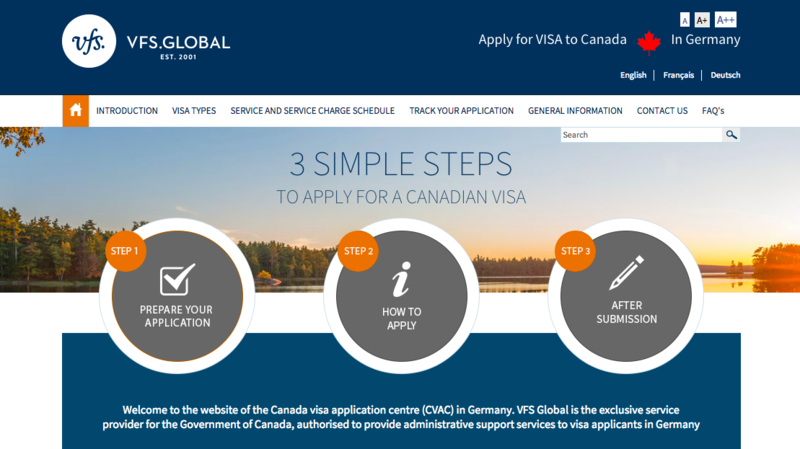 Here is a step for step guide on how to apply for a Canadian transit visa as a South African living in the Netherlands. Do you need a Canadian transit visa? First things first, you have to determine if you need a transit visa. To do this, fill in this quick questionnaire online here. If you are a South African travelling with a South African passport, you need a transit visa to transit through a Canadian airport. Having established now that you need a transit visa, the next step is to apply for one. You have two options. You can apply online or on paper by printing out your application and mailing it in. To determine if you can apply online, you have to complete a slightly longer questionnaire here. I can tell you that as a South African living in the Netherlands, I was able to apply online. At the end of the questionnaire, you receive essential information, a reference number, that you have to save as you’ll need it for your online application. You’ll need access to a scanner to create and upload documents, and you will need a valid credit card for payment. To apply online, you need to create an account with security questions on the official website here. 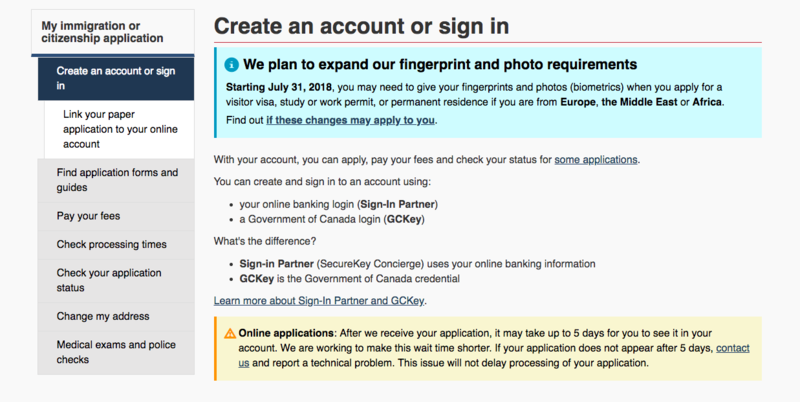 Once your account has been created, you have to complete three forms. The first one is a visa application form with a lot of personal details. If you’ve ever had to apply for a Schengen or USA visa, you’ll be familiar with the types of questions asked. The second form is about your family history. The third form is only needed if you’re travelling with your family. It’s a form that basically states that you’re applying on behalf of your family member. In addition to the forms mentioned above, you’ll also need to upload supporting documents. For example, if you have other visas or stamps in your passport, you have to scan your entire passport and upload it. Your application has been approved, now what? When you’ve correctly completed and submitted all the forms and your application has been approved, you’ll receive a message for ‘an original passport request’. 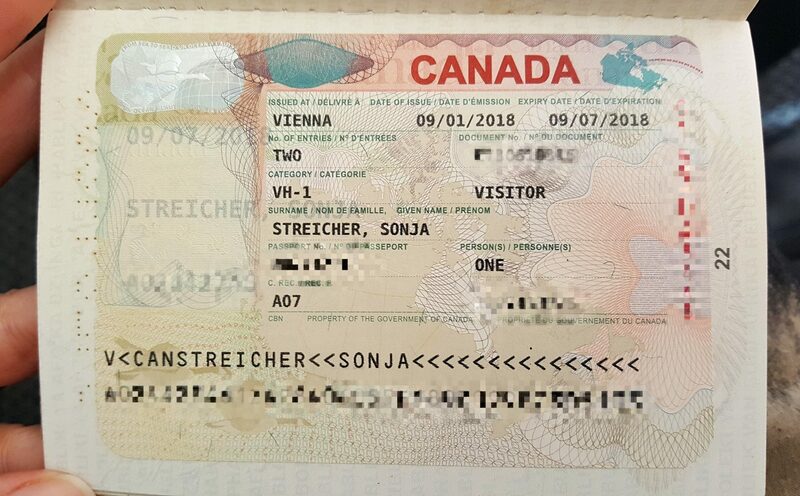 As I’ve mentioned, the Canadian Embassy in the Netherlands doesn’t issue transit visas, only the one in Vienna does. To my knowledge, this will be true no matter where in stay in Europe (only the Vienna Embassy will issue your transit visa). You cannot mail your passport directly to the embassy, you have to go through an agency. I had to use VFS Global, based in Düsseldorf. I sent my passport and the letter requesting my passport to the agency, and they forward it to the embassy on my behalf. The transit visa itself is free of charge, but you have to pay the agency a transit fee as well as a shipping fee. The total cost was €50 per person. Here is a timeline of my transit visa application process. It took 10 days (including weekends) from start to finish, from submitting my application online to receiving my passport back with the visa fixed inside. This probably will not be true for all applications, but it gives you a good timeline to work around. Sunday: I create an account, submit my completed application forms and supporting documents online. Monday: I get a message stating that my application has been received. Tuesday: I receive a message requesting my original passport. Wednesday: I courier my passport overnight to the VFS office in Düsseldorf. Thursday: VFS receives my passport and forwards it to Canadian Embassy in Vienna. Friday: The embassy in Vienna receives my passport. Monday: The embassy fixes the transit visa in my passport and returns it to the VFS office in Düsseldorf. Tuesday: The VFS office receives my passport and couriers it to me overnight. Wednesday: DHL delivers my passport. South Africans, as a general rule, if you need a visa to enter a country, you’ll likely need a visa to transit through that country. This isn’t always the case, but this is true for transit through, for example, the USA and the UK. I hope you find this article helpful during your application process. Again, warning to all South Africans, you need a transit visa to connect through a Canadian airport.